The title of this post may seem like an odd statement. It struck me as odd, too, when the Sr. Leaders worked through selecting what the essential elements were for leadership here at Interstates. Why did we include this? The answer is found deep in our culture. At our core, we are experts. Proud of our ability to really know the ins and outs of the industries in which we participate. We strongly connect what we know to what we are able to offer the client in terms of expert advice. To be experts at the trusted advisor level, we need to know what is happening in our industries. What are the issues challenging the businesses we are trying to support? It may not matter that is has little to do with electrical engineering or construction. To get in touch with this kind information, we must get both a broad and deep understanding of the issues. When we do, we become trusted advisors to our clients. You see, networking by definition is building relationships. As in “Building Relationships Through…Dependability, Integrity, Trust, Quality, and Family.” The key idea here (and we sometimes miss this when discussing our core values) is Building Relationships. To build effective relationships, we need to know about clients’ problems, challenges, and big opportunities. In other words, networking provides many of the seeds we use to develop our client relationships. This takes an investment. Sometimes it’s time and travel. Sometimes it’s sponsorship. Sometimes it is staff that could be more productive elsewhere. But, it is essential that networking happen. When we are “out there,” we hear what is happening; we interact with clients and can test assumptions and listen for opportunities to serve. 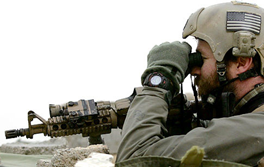 If we were Navy Seals, it would be “recon” for our mission of serving our clients. In addition, when clients see us contributing to their industries, they see us as being “in it with them” – an important perception when trying to connect with clients. Even though the challenges around networking are substantial, the need for networking is great. It is truly a key element of leading at Interstates.